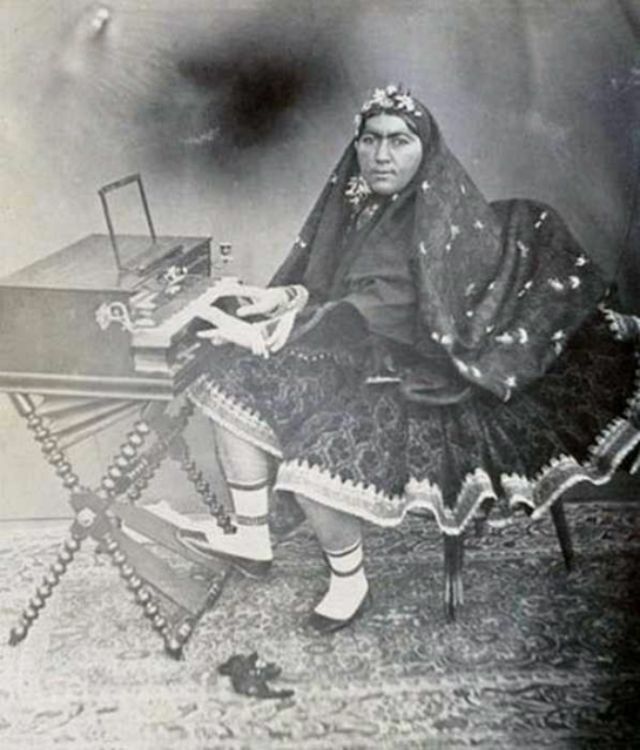 In 1842, Queen Victoria of England gave a camera to the 11-year-old heir to the Persian throne. The young heir fell in love with the magical gift. In the following decades he documented his life, revealing to the public eye, what it was never supposed to see. 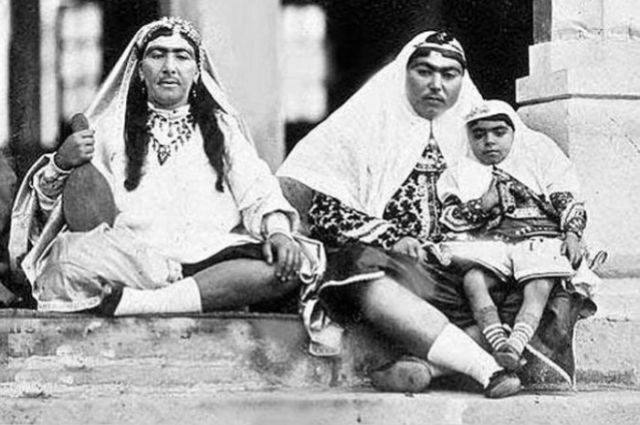 From his early days Shah Qajar loved to take photos from his childhood. Photography became one of his many passions. When he came to power he decided to create the world’s first official photo studio at his court. 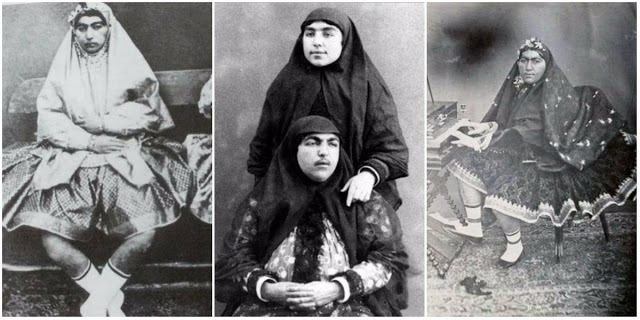 In the 1870s, another photographer from Russia Anton Sevryugin opened a workshop in Tehran. Sevryugin became an official photographer to the Persian court. 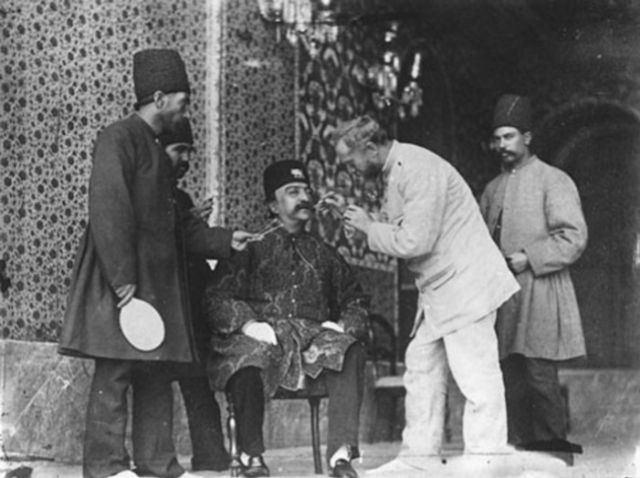 He made a photographic record of Persia in which he could take pictures of the Shah himself, as well as his relatives, courtesans and servants. 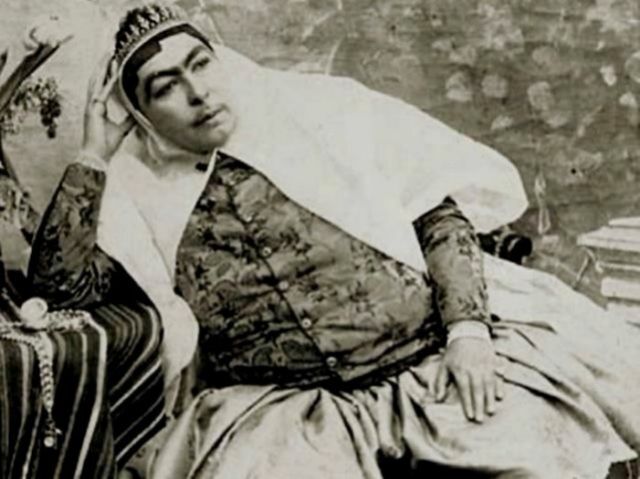 Shah Qajar reserved for himself the right to photograph the harem, in which historians believe he had approximately 100 concubines. 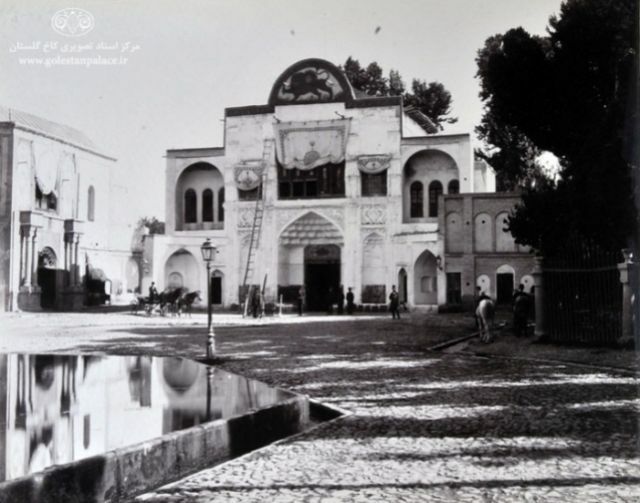 It is known that he developed the photos in a darkroom at the court and kept them in large albums in the Golestan palace, which is now a museum. 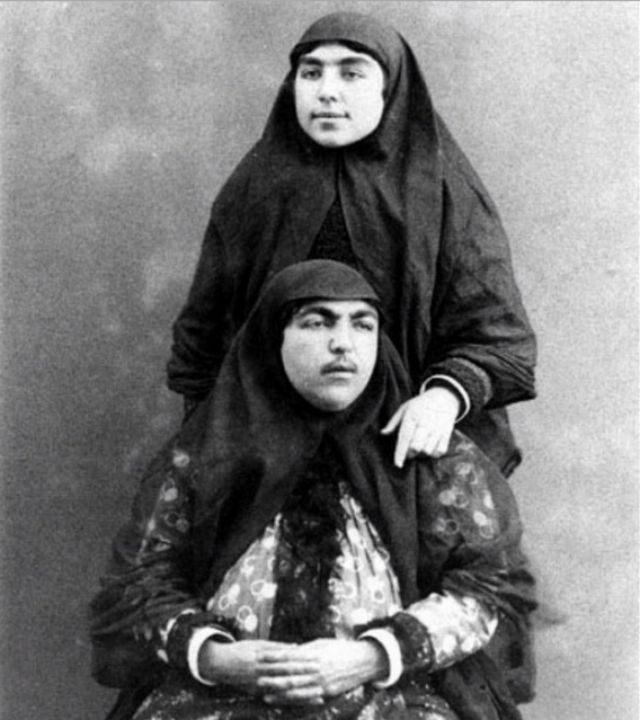 Naser Al-Din Shah Qajar and the photographer Sevryugin before a photoshoot. The main entrance to the palace of Gulistan. What makes these photos extraordinary is that Shia custom of the time forbade taking photograph of peoples’ faces, especially the women. But only the most powerful man in the country could afford to break this custom. Plumpness was one of the main criteria of beauty. Young concubine with a hookah. 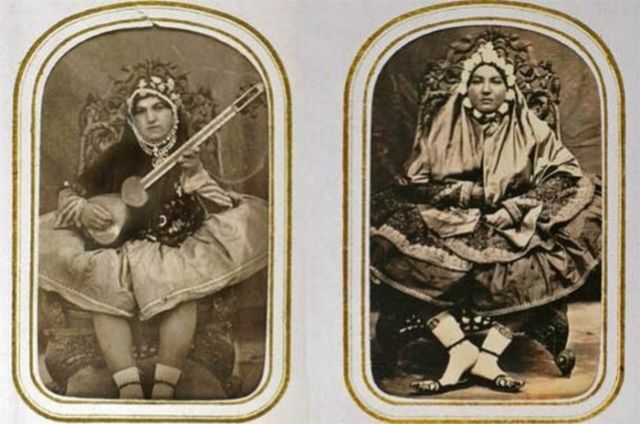 These photographs of women contradict the conventional depiction of the life in a harem. 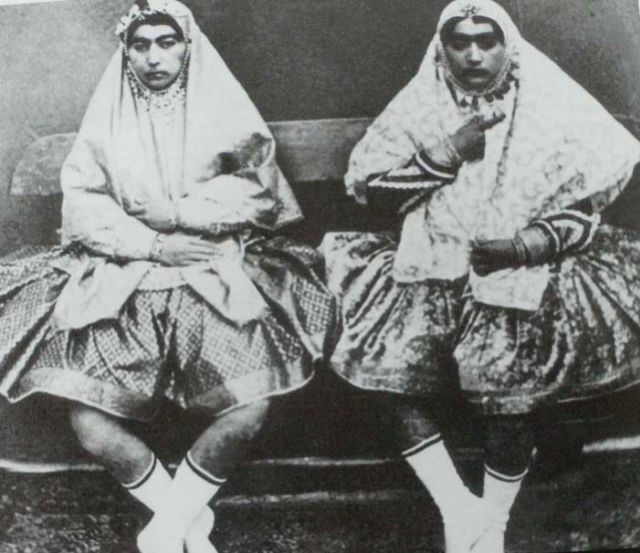 The Shah’s wives look quite up to date for their time, and they gaze calmly into the lens, without coquettishness or servility. Anis al-Doleh, known as the Shah’s soulmate. The incomparable Anis al-Doleh (sitting). The harem at a picnic. 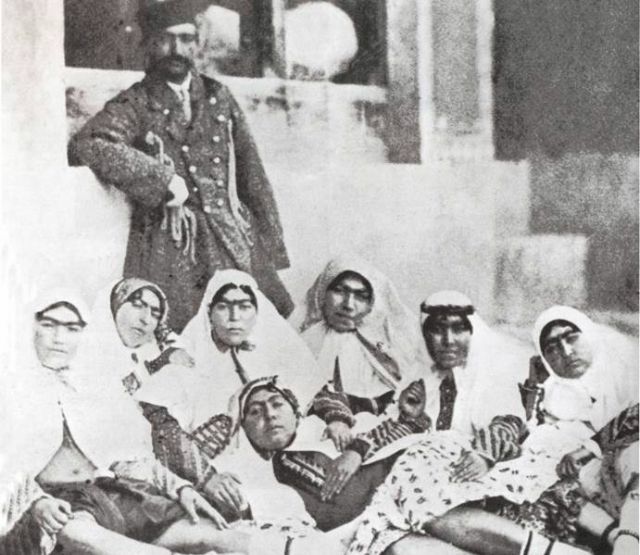 Naser al-Din Shah Qajar with some of his wives. 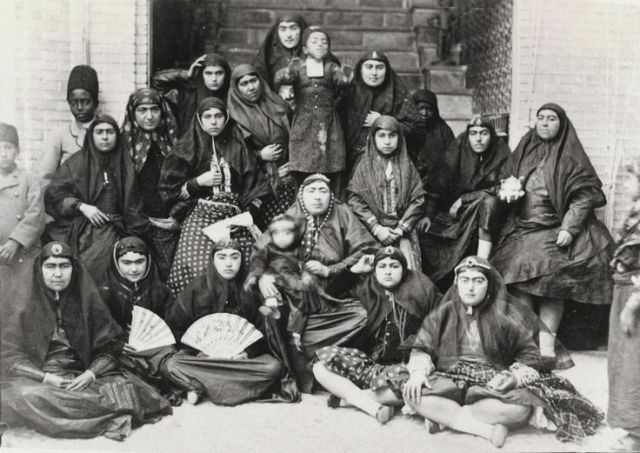 The inhabitants of the harem didn’t suffer from skinniness. 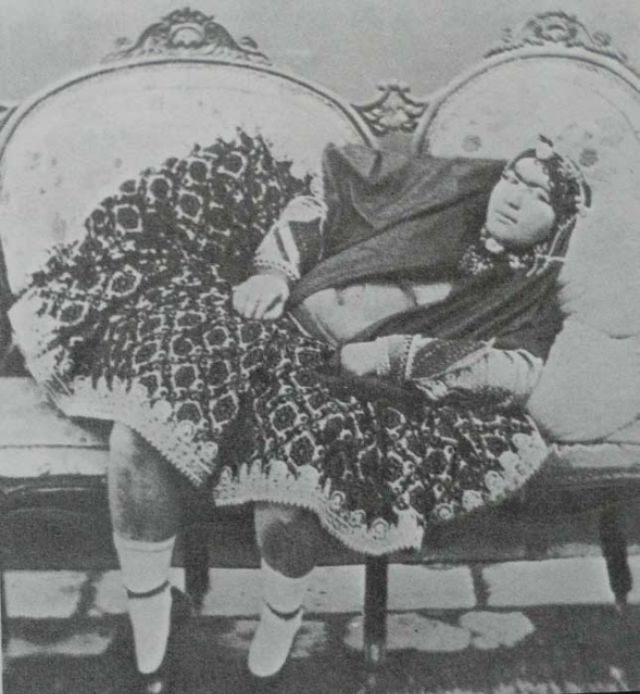 Historians claim that in the Golestan collection there are even nudes, but they have been well hidden. 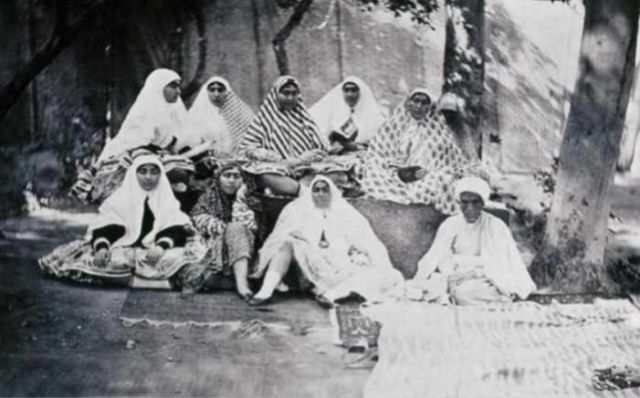 Ladies from the harem in ‘shaliteh’ skirts. 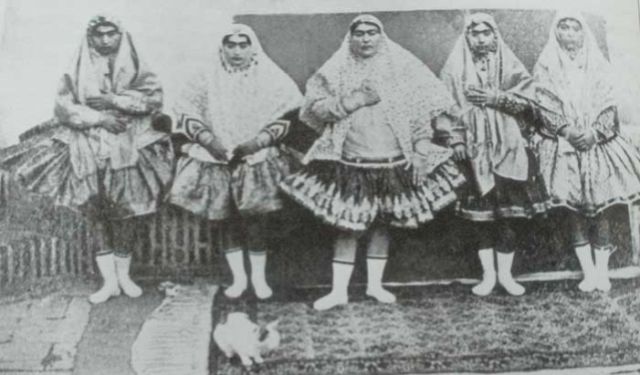 In many photos the concubines are pictured in short, opulently decorated skirts called ‘shaliteh’, similar to ballet tutus. 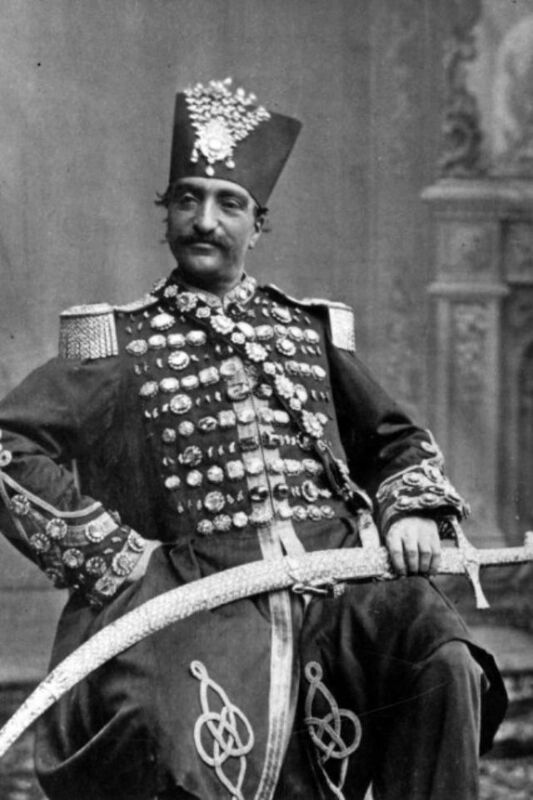 In 1873 Naser al-Din travelled to Saint Petersburg on the invitation of Russian Tsar Alexander II. While there, he visited the ballet. According to rumor, he was so charmed by the Russian dancers, that he had his women dressed in similar skirts. Of course, the concubines could only remove their Muslim dress for the camera.